This amendment guarantees Americans the right to speak, write and publish anything they like without fear of punishment. Censorship existed in the United States from it beginnings. The federal government began censoring the press since 1798. In the south, around the 1800's, people wanted to silence the abolitionists by not allowing newspapers to publish articles supporting abolition. Even the postal service refused to deliver mail to the abolitionists. Right now in Washington D.C., Congress is considering two bills that would censor the web and impose burdensome regulations on American businesses. They’re known as the PROTECT IP Act (PIPA) in the Senate and the Stop Online Piracy Act (SOPA) in the House. 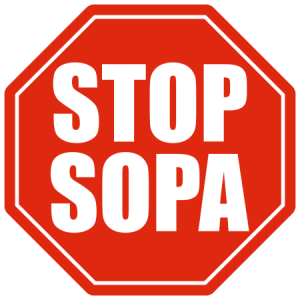 SOPA is an acronym for the Stop Online Piracy Act. It's a proposed bill that aims to crack down on copyright infringement by restricting access to sites that host or facilitate the trading of pirated content. 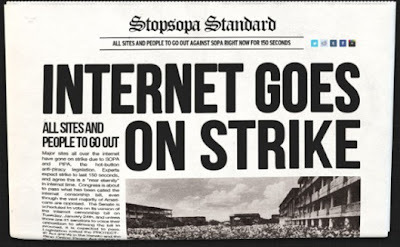 PIPA & SOPA will censor the web. These bills would grant new powers to law enforcement to filter the Internet and block access to tools to get around those filters. We know from experience that these powers are on the wish list of oppressive regimes throughout the world. 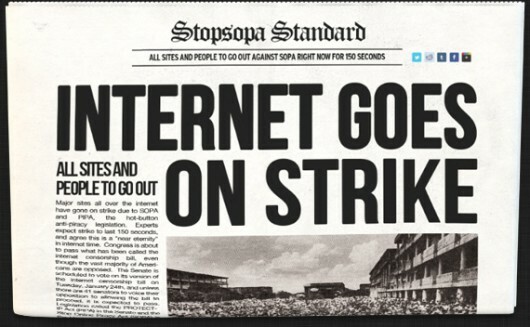 SOPA and PIPA also eliminate due process. They provide incentives for American companies to shut down, block access to and stop servicing U.S. and foreign websites that copyright and trademark owners allege are illegal without any due process or ability of a wrongfully targeted website to seek restitution. PIPA & SOPA will risk our industry’s track record of innovation and job creation. These bills would make it easier to sue law-abiding U.S. companies. Law-abiding payment processors and Internet advertising services can be subject to these private rights of action. SOPA and PIPA would also create harmful (and uncertain) technology mandates on U.S. Internet companies, as federal judges second-guess technological measures used by these companies to stop bad actors, and potentially impose inconsistent injunctions on them. 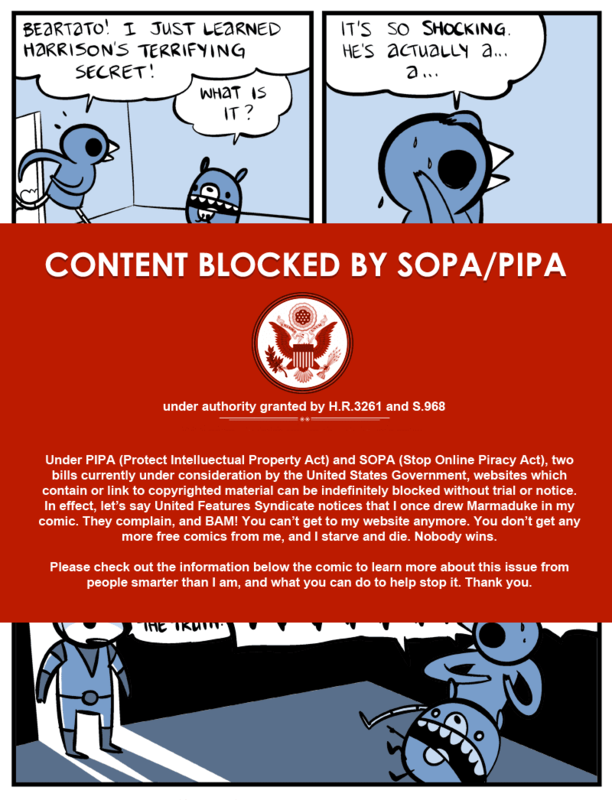 PIPA & SOPA will not stop piracy. These bills wouldn’t get rid of pirate sites. Pirate sites would just change their addresses in order to continue their criminal activities. There are better ways to address piracy than to ask U.S. companies to censor the Internet. The foreign rogue sites are in it for the money, and we believe the best way to shut them down is to cut off their sources of funding. As a result, Google supports alternative approaches like the OPEN Act. The beating heart of SOPA is the ability of intellectual property owners (read: movie studios and record labels) to effectively pull the plug on foreign sites against whom they have a copyright claim. If Warner Bros., for example, says that a site in Italy is torrenting a copy of The Dark Knight, the studio could demand that Google remove that site from its search results, that PayPal no longer accept payments to or from that site, that ad services pull all ads and finances from it, and—most dangerously—that the site's ISP prevent people from even going there. 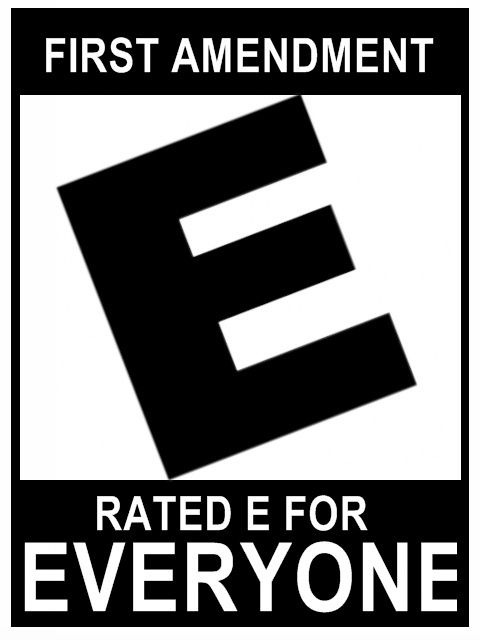 It translates into the elimination of our right to express individual ideas and opinions publicly on blogs, in forums and in online newsletters.